Among the most important personalities of the county Bistriţa-Năsăud a special place is reserved to Liviu Rebreanu (1885-1944), the creator of the modern Romanian novel. As we know, the writer saw the daylight in the village Târlişua, where he only spent a few months. His father, the school-teacher Vasile Rebreanu was forced to wander through several villages in the region until he managed to find a fixed job, first in Maieru and then in Prislop, a village about 3 km from Nasaud. The novelist spent his childhood in Maieru and part of his youth in Prislop. 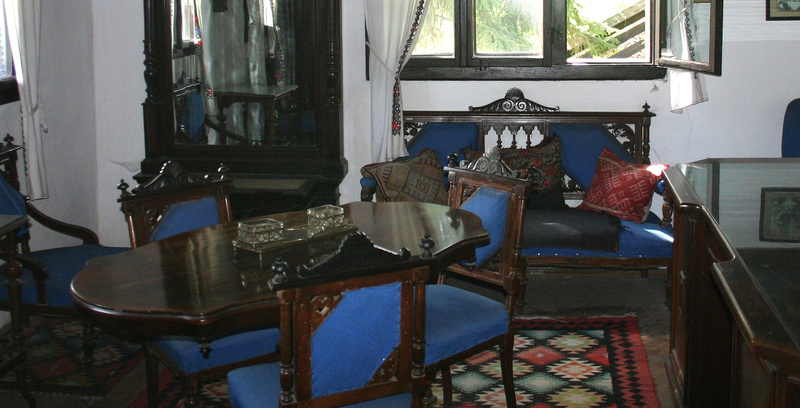 It was obvious that in view of honoring his memory, to have in this region a museum in which there could be exhibited aspects of his life and opera. The idea of setting up the Memorial Museum Liviu Rebreanu appeared in 1956 within an initiative group made up of professor Sever Ursa – young graduate of the University in Cluj, professors Alexandru Husar and Gavril Scridon, professor Ioan Nichifor Someşan – director of the museum in Nasaud, Septimiu Pop – professor at the „George Coşbuc” High School in Nasaud, the deacon from Prislop – Vasile Tabără. Prislop was chosen as here, Liviu Rebreanu spent the years decisive for his future literary career, and then, the village and its inhabitants are to found in the novel “Ion”, the first novel of the writer. 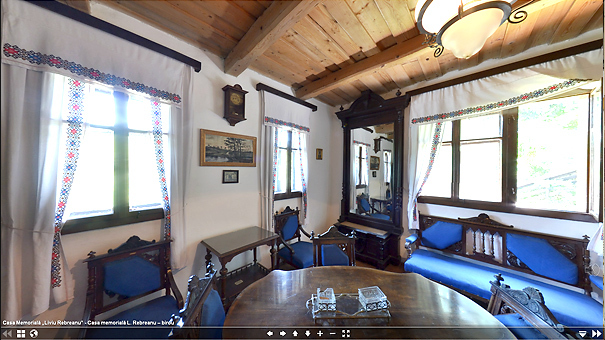 Because the house in Prislop, where the writer’s parent have lived did not exist anymore at that time, there was decided to have another house built, a house to respect the original blueprint and in which there was to open the museum. As such, at the margin of the village, to Nasaud, there was built a house, identical to the one belonging to the Rebreanu family. At the inauguration ceremony, that took place on June 2nd 1957, there were present, among others, besides the thousands of admirers of the novelist, the wife of the writer, Fany Rebreanu, his sisters and also his daughter, Florica Puia Rebreanu. On the marble plate on the northern façade of the house one can read: „IN THIS HOUSE, RE-BUILT IN 1957 BY THE INHABITANTS OF PRISLOP-NĂSĂUD, THERE LIVED, IN THE MIDDLE OF HIS CHARACTERS IN THE NOVEL “ION”, THE GREAT WRITER LIVIU REBREANU”. On the occasion of museum’s inauguration, there was unshrouded the bust of the novelist, opera of the professor Ioan Nichifor Someşan. In 1963, the first bust was replaced with a new one, made of bronze by the sculptor Romulus Ladea. From that day on, the village Prislop will bear the name of Liviu Rebreanu. 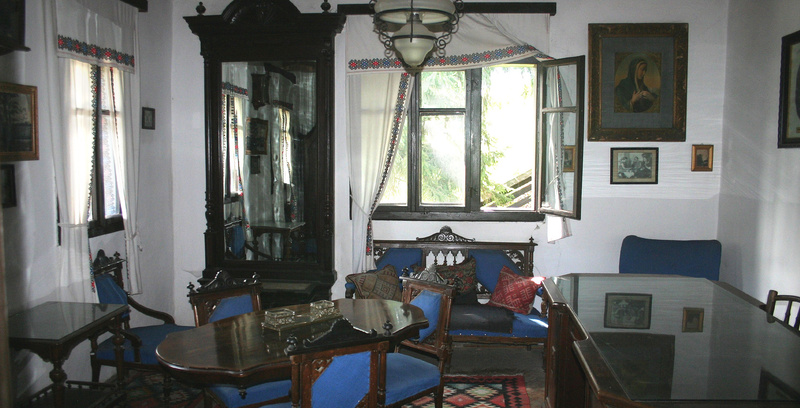 The interior arrangement of the museum was made at the beginning with support of the writer’s widow and sisters, who showed a deep interest for the conservation of the memory of Liviu Rebreanu, contributing with very important documents and objects. Later, in the 80s, near the house-museum there was built a new edifice with conference room, office of the curator, photo-studio, storage room but also room for a permanent book exhibition that comprised the entire work of Liviu Rebreanu, including numerous translations in more than 20 foreign languages. The effort of the visitor travelling tens or hundreds of kilometers, thinking of visiting this museum, is fully rewarded. Gathered and properly valued, the exponents illustrate the huge personality of the writer. The museum contributes to the spreading of the life and work of the writer among the public, especially of the youth, facilitate the understanding of his creation. Here, there are sheltered numerous objects referring to the life and literary work of Liviu Rebreanu. There are exhibited personal objects and photographs presenting the novelist from adolescence up to his last year of life (1944). 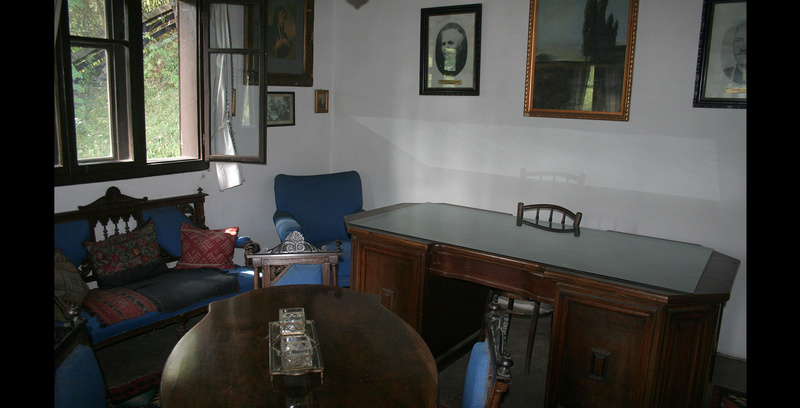 Here, there stands his working table, where the writer spent the most important moments in his life, together with his writing objects and tobacco and coffee set. 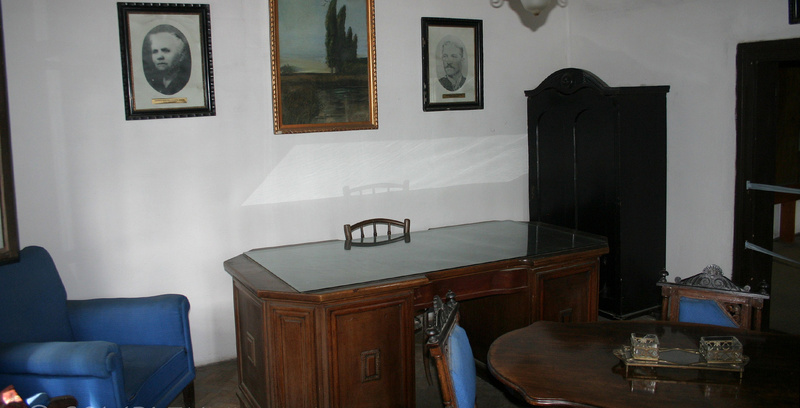 Extremely precious are the exponents belonging to other members of the family of the school-teacher Vasile Rebreanu (present in the novel „Ion”, under the name Herdelea): photographs of Liviu Rebreanu’s parents, brothers and sisters and furniture. Among the numerous objects in the museum, of great interest are the ones connected to the work of the writer. There are exhibited the shirt, hat and belt belonging to Ion from the novel with the same title, together with the dress, beads, head-dress and rock of Ana. In connection to the novel „Pădurea spânzuraţilor” (Forest of Gallows), one can see: the cap born by Emil (writer’s brother), the character of Apostol Bologa, photographs, letters and also the sentence to death in original. There are also exponents connected to the novel „Răscoala” (The Mutiny), as there is to see a sketch drawn out by Rebreanu, about the mutiny from 1907, with annotations concerning its development. 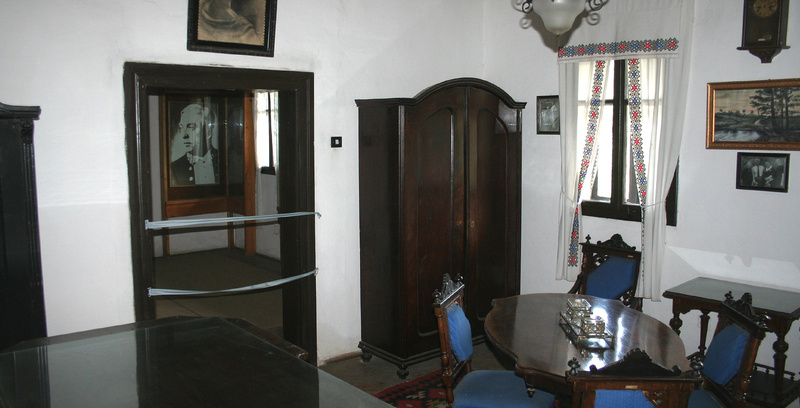 In the three rooms of the museum, there set foot personalities of the Romanian culture and literature, such as: George Călinescu, Tudor Vianu, Mircea Zaciu, Vasile Netea, Niculae Gheran (the editor of Rebreanu’s work), Grigore Vieru etc. Among the ones crossing the threshold of the house in Prislop, one can count foreign visitors. In the pages of the “Golden Book”, one can find signatures of tourists from Belgium, Greece, Germany, France, USA, Japan, Poland, Jordan, Yemen, Tanzania, Ciad, India, Vietnam etc. A notable presence is the one of the Japanese professor Sumiya Haruia, who translated into Japanese the novels “Ion” and “Forest of Gallows”. During its more than 50 years of existence, the museum has been visited by more than three million visitors.